Located on a beautiful BOLD fast moving creek with small double waterfalls right off the back balcony. This cute and unique creek-side cottage is the place to be!. Hickory Nut Creek (Bold Creek with lots of boulders and small water falls) Creek side Fire pit! This home has been a popular vacation rental but would be a wonderful full time, retirement or private vacation home. 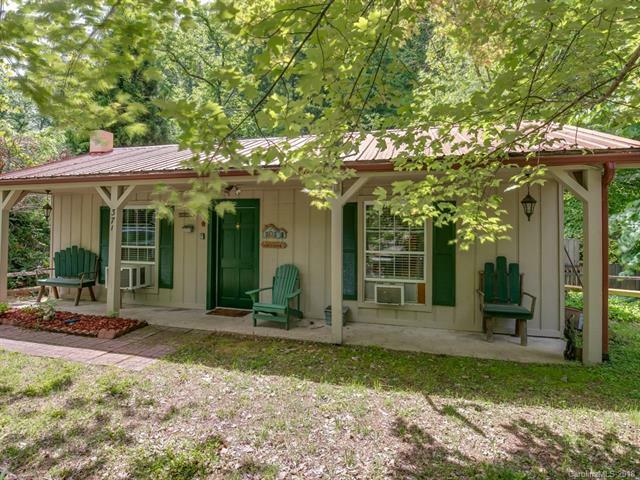 Just minutes to Chimney Rock, Bat Cave, Lake Lure Public Beach, Restaurants and parks. Short drive to 2 championship golf courses at Rumbling Bald Resort, Asheville, Hendersonville, The Blue Ridge Parkway, The Tryon Equestrian Center and Everything great that Western North Carolina has to offer. Must See Property. Owner is a licensed NC Real Estate Agent.